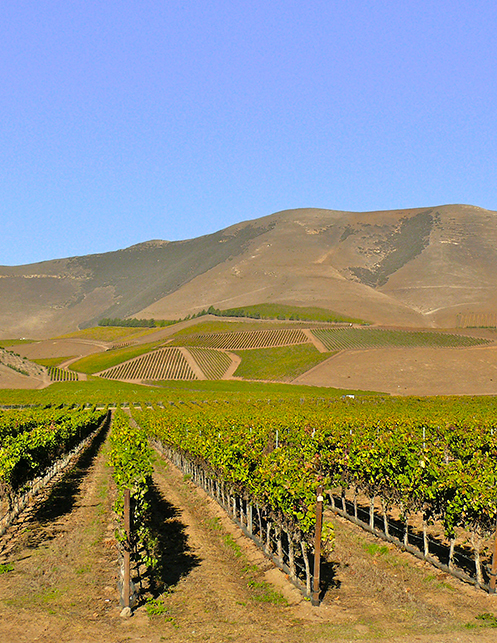 Located in the Santa Maria Valley, Bien Nacido Vineyard exhibits the characteristics I so appreciate from a Region 1 including cool climate and extremely long growing season. The vineyard website has very extensive information, so I'll defer to Bien Nacido. Named for William Garey, who pioneered the first citrus groves in the Santa Maria Valley in the 1800's, Garey Ranch Vineyard sits at the northeastern end of the valley. 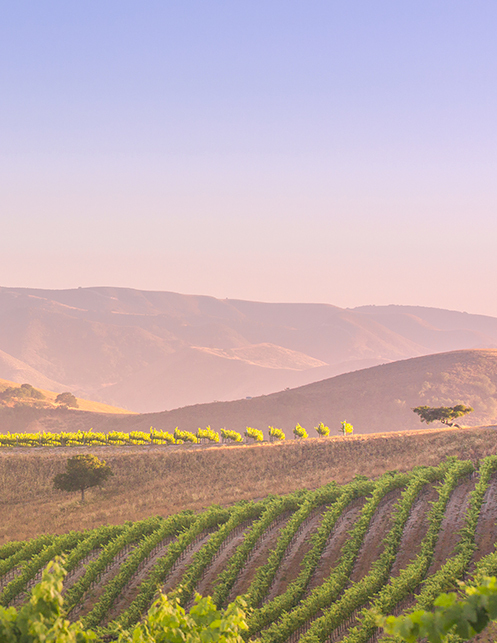 Planted by Robert Mondavi Corporation in 1999, this rolling mesa sits at approximately 540 feet above sea level. It was slated to be showcase vineyard for the Santa Maria Valley Pinot noir. It was sold in 2004 and became available for purchase. I began buying the fruit that year. The relatively infertile soils are predominately sand loam of the Garey, Marina, and Oceano series and help to maintain low to moderate vine vigor. For the fruit this translates into small berry size and complex, intense flavors. I have a long term contract for a section Block 316 Clone 777 Pinot noir. This allows me to have consistency from year to year in sourcing and the differences I experience in winemaking are specific to each vintage. Planted on ancient sand dunes in Los Alamos hills, the vineyard sits on the south facing slope of Cat Canyon. The 75 acre site is 21 miles west of the Pacific at 900 feet elevation, lending to a strong marine influence. I purchase Syrah Clone 5 on 140R rootstock. This Region 1 vineyard has well-drained soils and can experience very cold temperatures including snow and frost. On average, the temperatures are 10 degrees Fahrenheit warmer than Santa Maria Valley and 10 degrees cooler than Santa Ynez Valley. 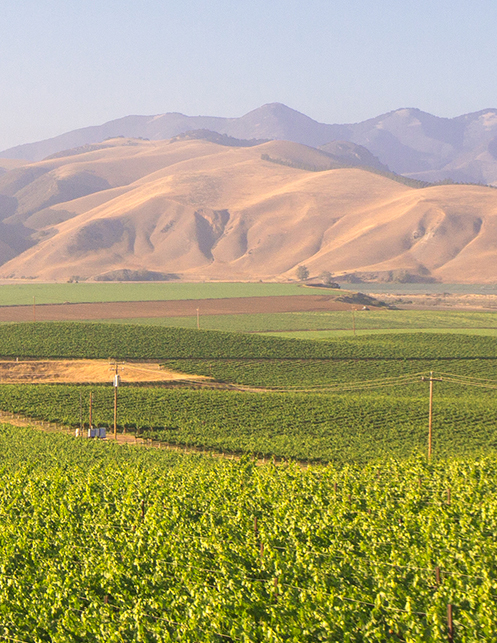 White Hawk Vineyard is meticulously managed by Mesa Vineyard Management.